Foot and ankle problems are highly common in athletes. In the assessment of foot and ankle problems in the athlete it is important to assess the general health of the athlete, the sports-related risks, and the risk tolerance modifiers. With the help of this information the athlete and the medical team can make a decision about return to sport (RTS) timing and return to sporting activity levels. Return to sport should be regarded as a continuum. RTS can be divided in three subcategories: return to participation, return to sport, and return to preinjury level. Another tool in the assessment of foot and ankle problems in the athlete are patient-reported outcome measures (PROMs). 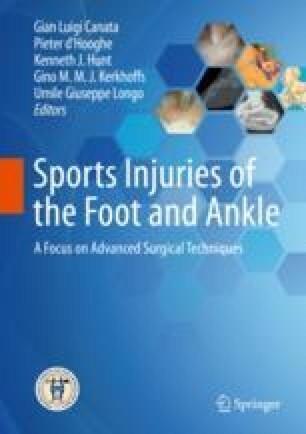 A number of PROMs are specifically designed to assess sports-related outcomes in the foot and ankle.